Launchpad App Development Brisbane delivers highly innovative and leading-edge products to companies, startups and entrepreneurs in Queensland. At Launchpad, we build various products, from iOS, Android and Web apps to Server-side technologies, that are visually appealing, engaging, innovative and cost-efficient. We deliver the complete package by also helping you create a strategy focused on monetisation, retention and user acquisition. We can also help if expansion is one of your goals by creating plans to gain funding and investors. After I contact you, what are my next steps? Below is the 3 step process you’ll take after making an enquiry with us. And don’t worry we do all of this for Free! The first step is a 1hr Discovery Session to introduce ourselves and find out a bit about you and your concept. We capture the essence of what your app will do and the outcomes you are looking to achieve. After we have an understanding of your project we sit down with our product managers, project managers UX consultants and developers to review the requirements and features of the product. We then discuss your options and provide you with a ball park figure for the cost of development, the estimated timeframe for delivery and provide the best strategies for delivering your concept to the app store. 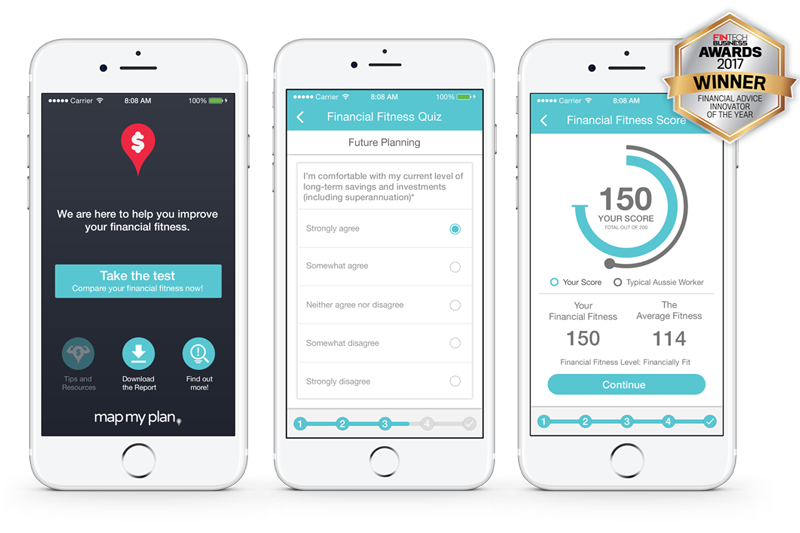 An app to help build your personalised financial plan and take control of your financial goals.